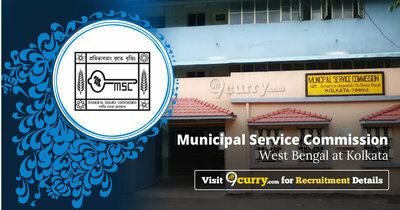 MSCWB Recruitment 2019 - Apply Online for Apply Online for Surveyor, LDC & Other Posts in MSCWB, West Bengal. Online Applications are invited by Municipal Service Commission, West Bengal from 13 Feb 2019 to 16 Mar 2019 for 4 vacancies. For Gen/ UR Candidates 18 years to 40 years as on 01 Jan 2019. 01 Madhyamik Pass or equivalent with Diploma in Survey Engineering or equivalent from recognized University or Institution. 01 Madhyamik pass or equivalent with diploma in Draftsmanship or equivalent from NCVT accredited recognized Institution- ITI I Engineering. 01 Madhyamik Pass or equivalent.